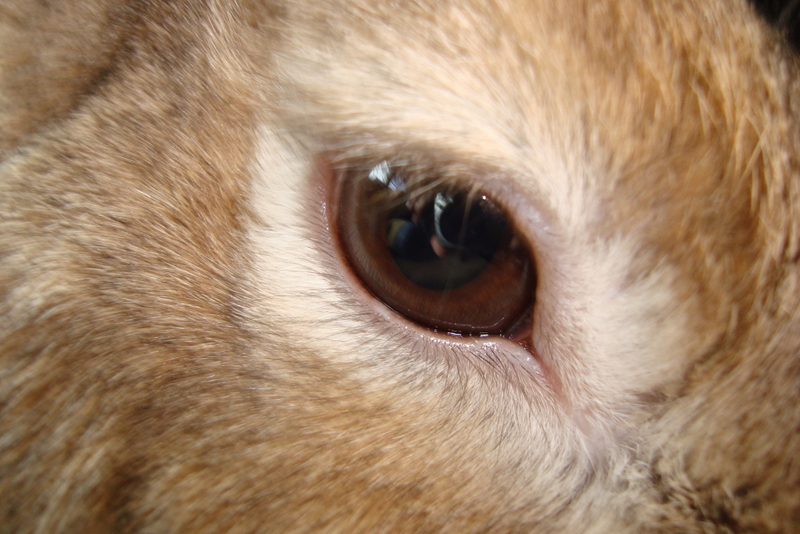 Domestic Rabbit, Hare, Jackrabbit & Cottontail Eye Color Examples. 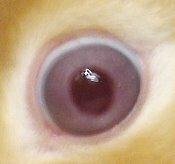 MediRabbit has release a paper on "Heterochromia of the iris in rabbits belonging to the Dutch breed." Authors: Kimberly Butler, Beth DeGeorge, Gabriela Dunn, Julie VanGyzen, Michel Gruaz, Arie van Praag and Esther van Praag. You can find a copy on ResearchGate.net. 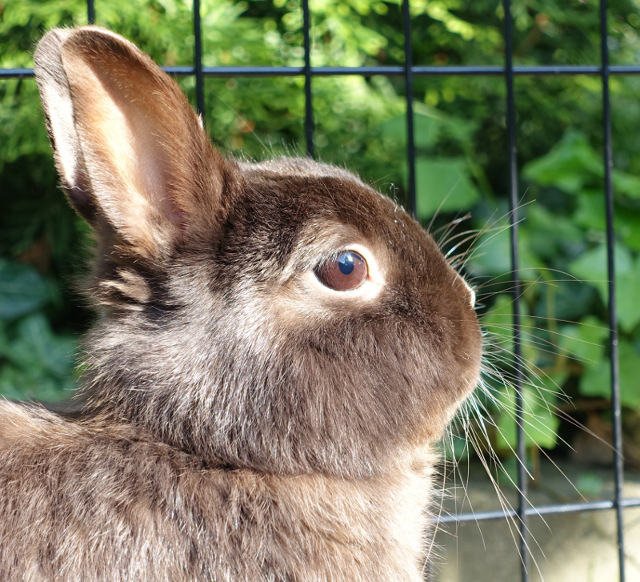 aka "The Big Bun Theory"
Lutino eyes: "A mutation in the structure of a transmembrane protein, altering transport across cell membranes. 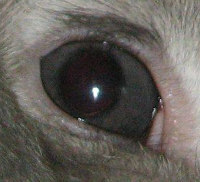 In the skin, it reduces the distribution of eumelanin, but in the eyes it limits pigment production completely." 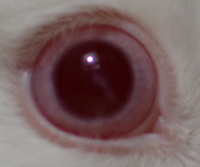 The above picture is an example of a mottled or marbled eye, but from a dove, source. 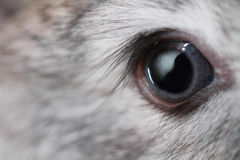 If you have or know of any examples of rabbits with mottled or marbled eyes please let me know at web at vgr1.com, thanks! 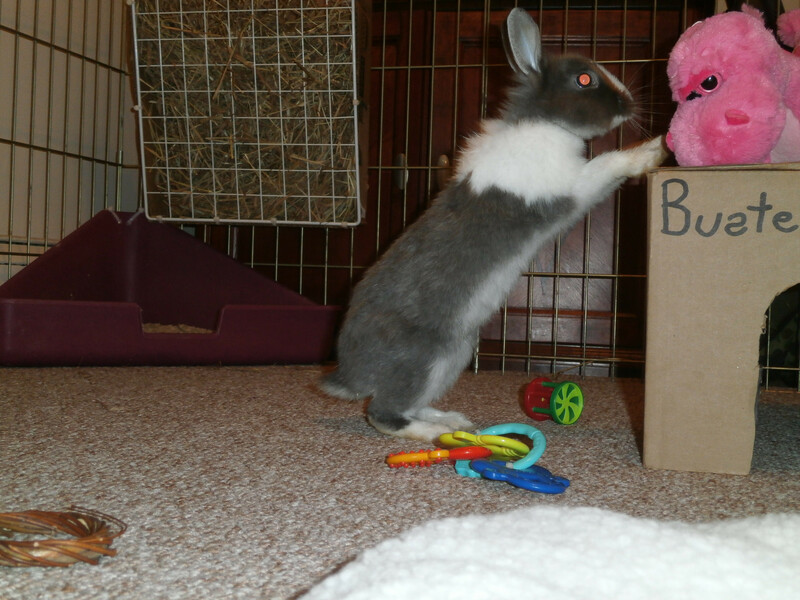 Thanks to 15 year old Miss Dolley Hopsalot & EmilyL. 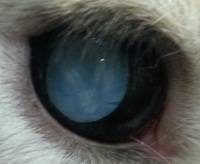 A medical condition in which the lens of the eye becomes progressively opaque, resulting in blurred vision. 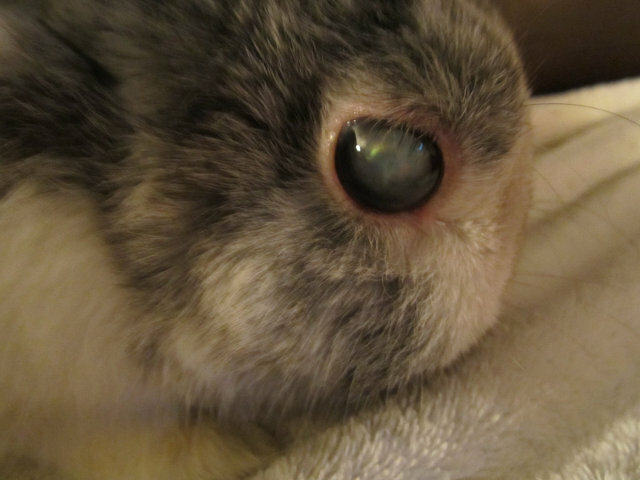 If your rabbit's eye is white see a rabbit savvy vet ASAP! 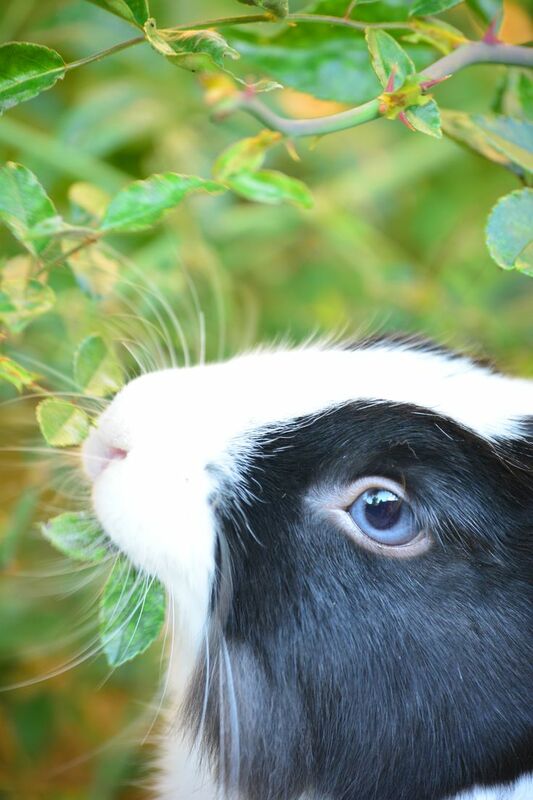 This gentleman's pictures are top shelf! This gentleman's pictures are brilliant! 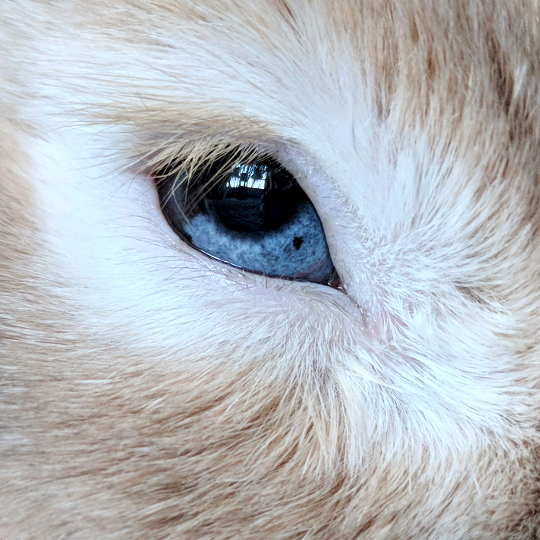 Heterochromia Iridum. 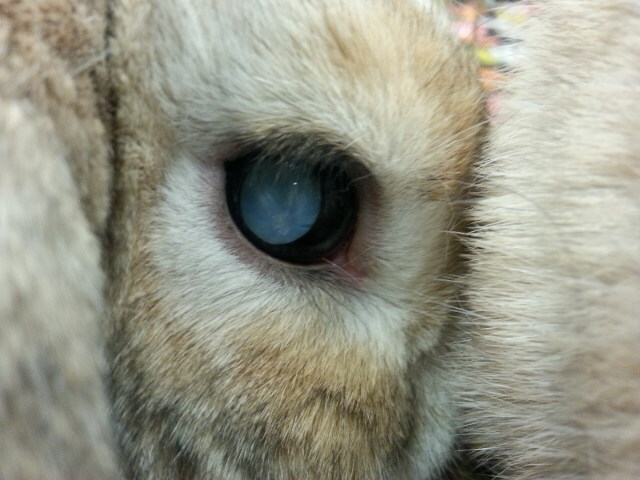 There are two forms of this that domestic rabbits can have. 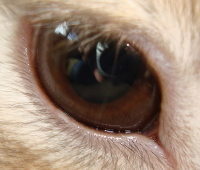 With complete heterochromia each eye will be a different color, in this case one eye will be blue and the other brown. 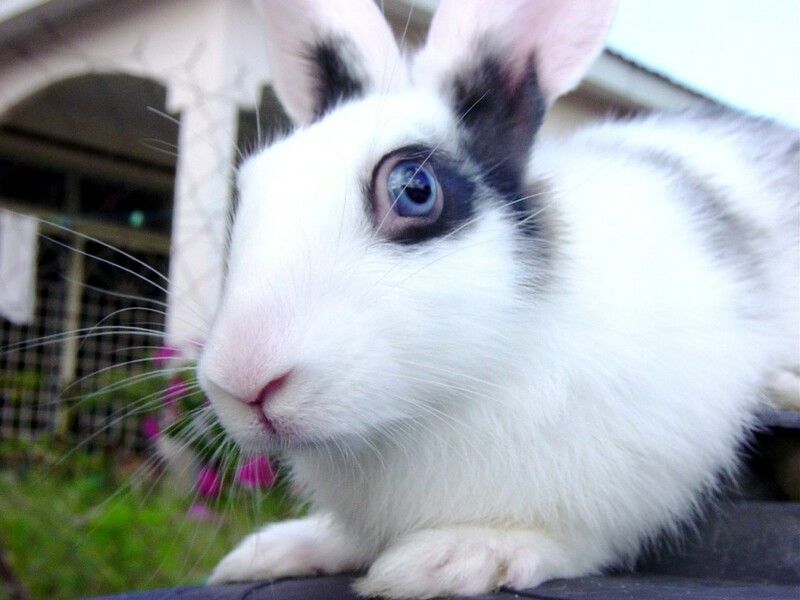 With sectoral heterochromia one or both of a rabbit's eyes will have two colors in the same eye (iris). 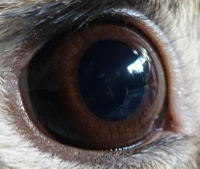 Again this will only be a random mix of blue and brown. 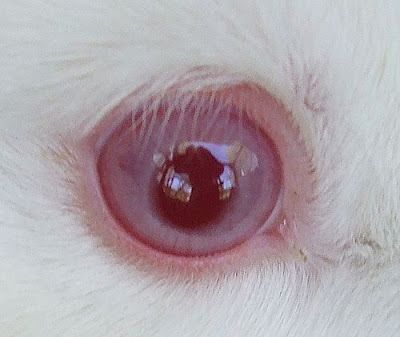 PINK Color Eyes (aka Pink eyed dilution): If a rabbit inherits two copies of the recessive 'p mutation' gene this will "decreases dark brown pigment and changes eyes to pink" [source] - This lutino coloration (xanthochromism) is rare in rabbits, is called oculocutaneous albinism II (OCA2). 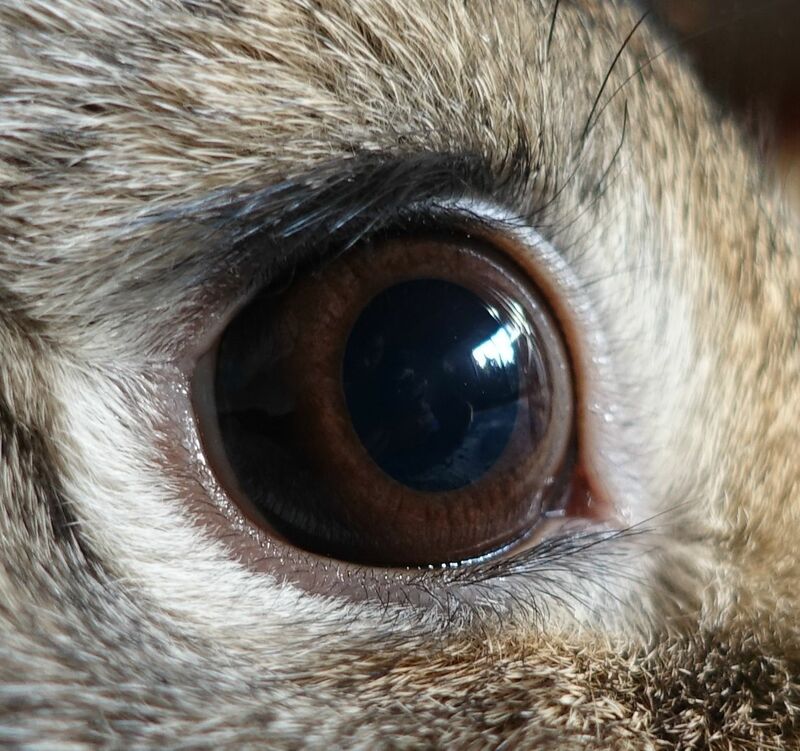 RedEye-Flash: Rabbits have no tapetum lucidum, a reflective structure that lies beneath the retina, acts like a mirror; reflecting light back through the retina increasing the light available to the photoreceptors in some animals. 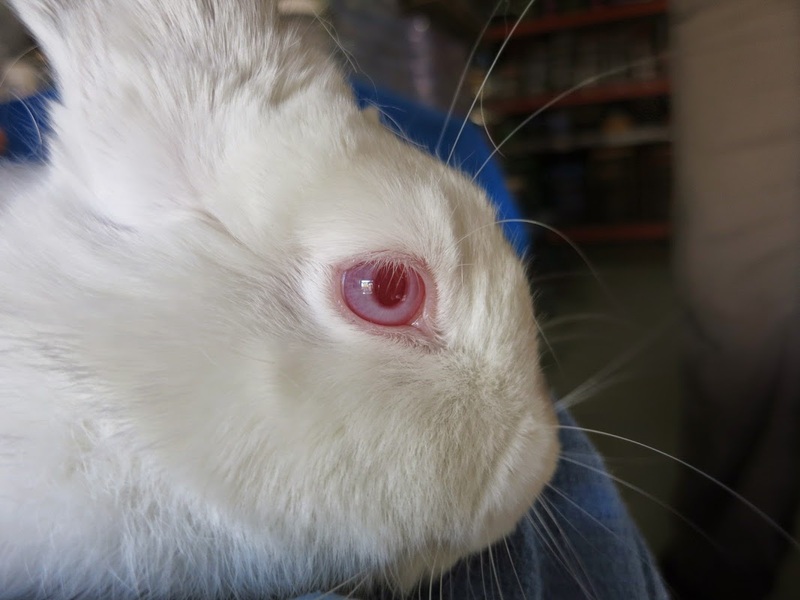 Amy's Rabbit Ranch: Lutino info doc & Rabbit Eye Color Biochemistry. 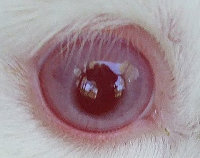 Examples where permission to use a part of a picture was not granted or allowed, but nevertheless still good examples. 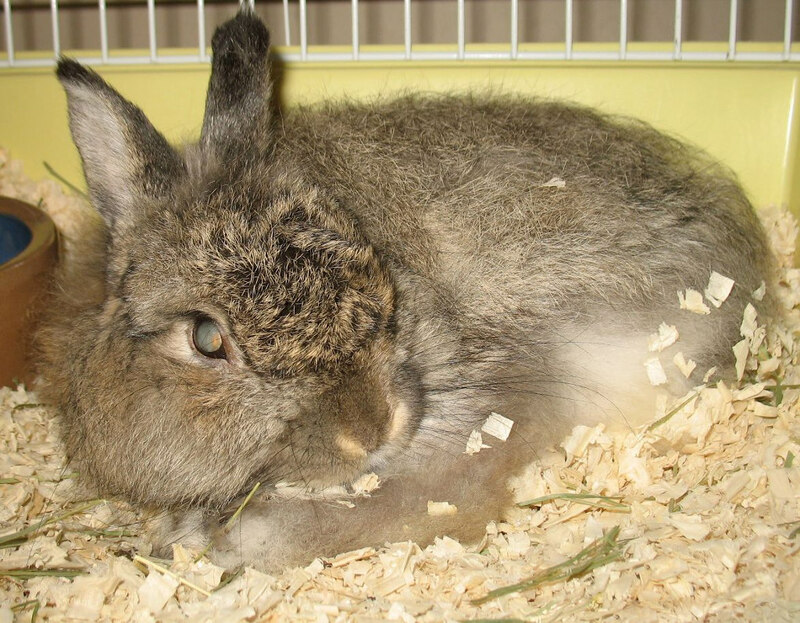 Brown example from a Eastern Cottontail Sylvilagus floridanus: the Carrot Lady's picture of Mister. 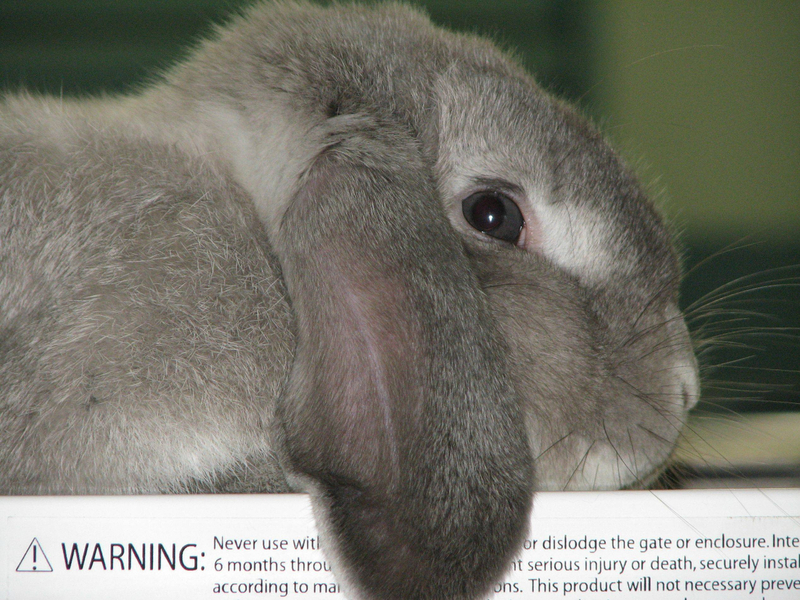 The imaged linked to is Copyrighted© and Restricted® by the Carrot Lady. 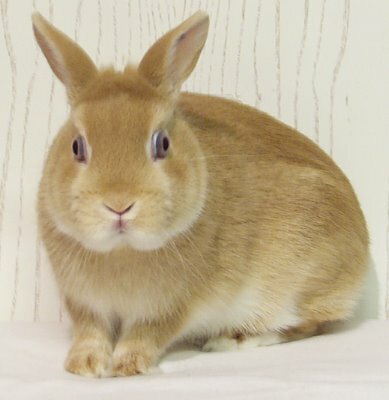 Please email its respective owner for use. 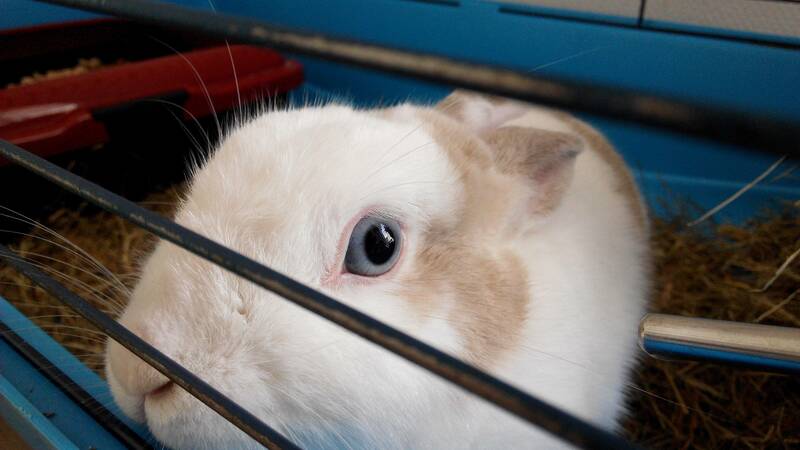 Sectoral heterochromia example not allowed: R.Okamoto (The Rabbit Heaven FB) "Oh so close" post. 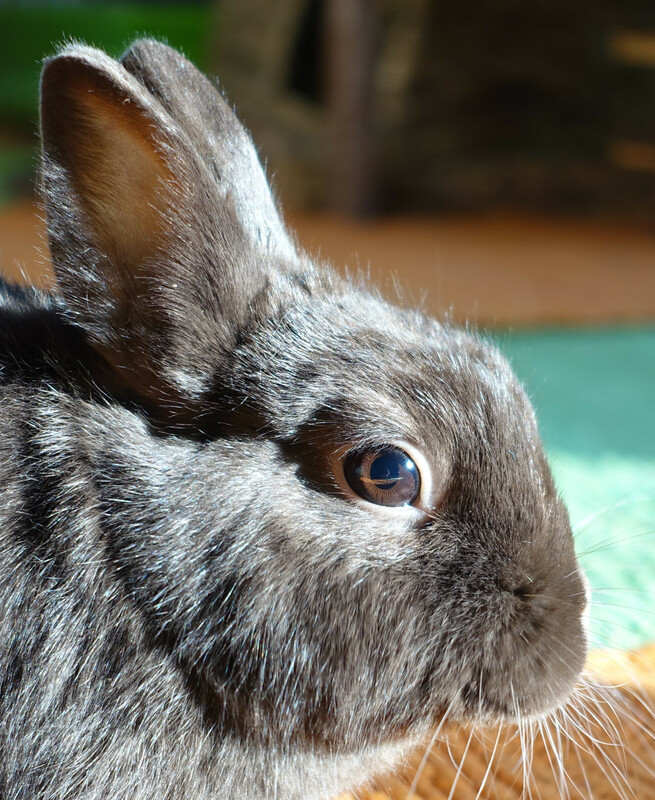 The imaged linked to is Copyrighted© and Restricted® by R.Okamoto/The Rabbit Heaven. 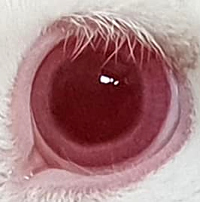 Please email its respective owner for use. 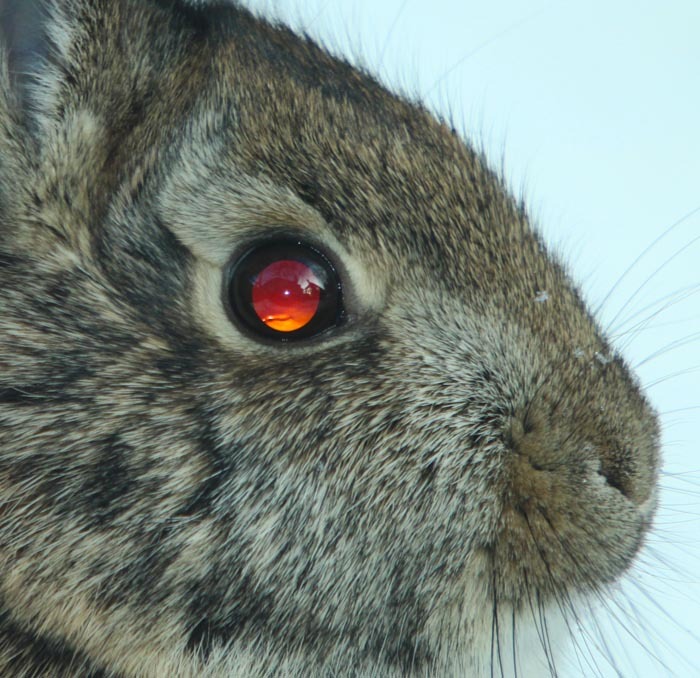 Sectoral heterochromia in a 'Sliver Fox' example not allowed: /u/lostinalaska08080 "Isn't This The Most Beautiful Rabbit Eye Color? 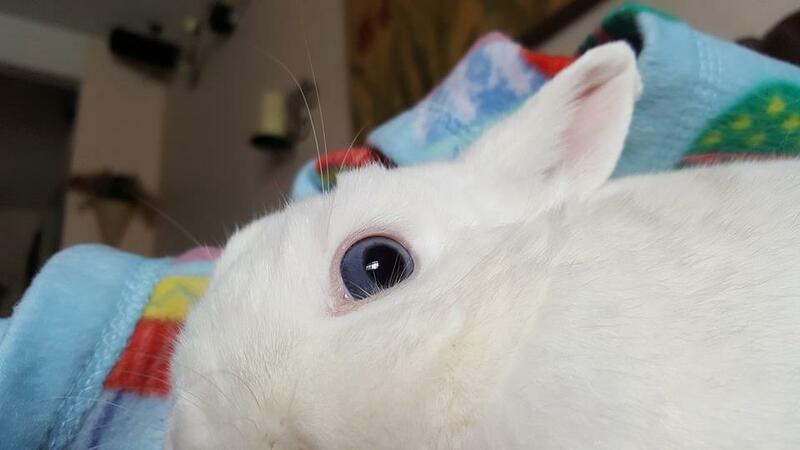 Meet Sapphire🐇🐰" post. The imaged linked to is Copyrighted© and Restricted® by /ulostinalaska08080. 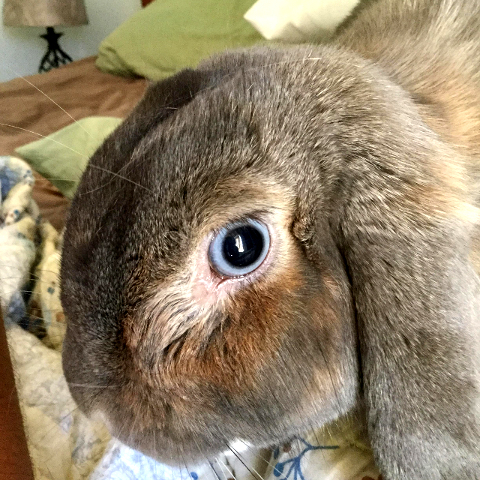 Please email its respective owner for use. Page © 2014-2019 RCR. Page hits: 3567 since January 1st, 2014. 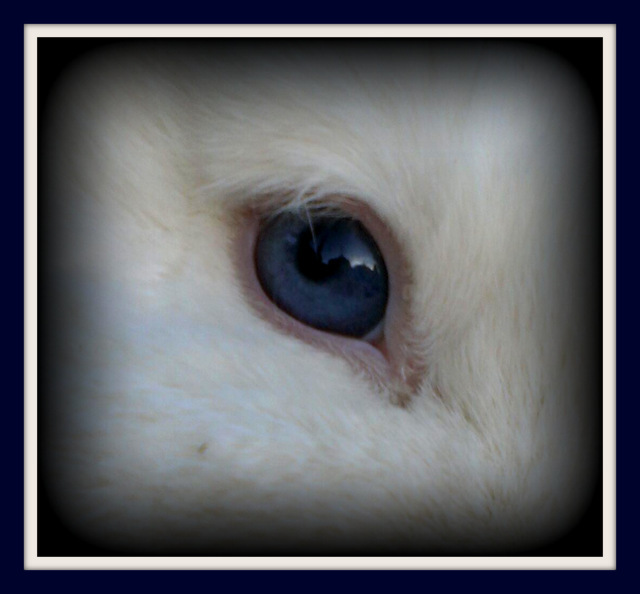 All information and pictures © of its respective owner(s). 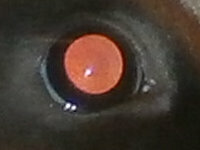 All denoted linked works used with direct permission from owner(s).